Showing results for tags 'figbarf'. 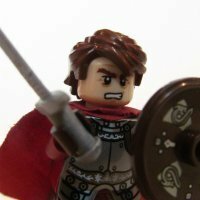 Hey Eurobrickers, lately I've been really into creating original characters using the pantheon of minifig parts. As much as I enjoy building larger MOCs working with bricks and such, this minifig stuff is much more suited to a busy AFOL's lifestyle. I thought it would be cool to share my Figbarf with ya'll and see if ya'll had any you wanted to share as well. Alien Girl Rock Band Biker Gang PLEASE SHARE, I WANT TO SEE YOUR ORIGINAL CREATIONS! From Left to Right: English Guerrilla Soldier, Nazi Solder, German Rebel, American Soldier, and a Russian Commando. Let me know what you think! Ahoy, let me start something which I haven't seen in this part of the forum: A collection of 16 pirate-related minifigs: You may have seen some of them in my MOCs before. Let us go into the details: Captain Braunsfeld - Napoleon - A Royal Painter - Spanish Captain A Drunk Captain - Court Lady - A crew member - Captain Banana-Breath (borrowed from its creator) A Merchant - Mozart with his piano - A Rogue - Sir Isaac Newton British Parrot Collector - Spanish Musketeer - A Salty Dog - His Wife C&C welcome. Hi guys - here is my assortment of minifig designs for the GOH Anniversary Contest: Kaliphlin: Colour Guard Soldier: Proudly part of the elite guard responsible for displaying and protecting the Kali colours (at least when he's not half asleep...). Assassin: One of the most lucrative killers in the business - with his twin bone knives, he's quick, clean, and quiet. Pit Fighter: Fame and fortune await the victors of the Kali pits - this fighter wants it all. Vinter: The great wine maker - he got tired of making ale in the frozen north and so moved to the warmer climates of Kaliphlin where he developed a series of vintages famous throughout Historica. Mitgardia: Horse Master: People far and wide come seeking the advice of this horse master to solve all their horse training problems. Mountain Man: Several bouts of frostbite has made this Mitgardian impervious to the frigid mountain temperatures. Adventurer: Having little luck in the facial hair department, this hopeful fellow is on a quest to earn his beard. Baker: The family recipes have been passed down for generations, and this dwarf is carrying on the tradition of creating some of the best baked goods around. Avalonia: Avalonian Infiltrator: The drow are on the loose, and need to be stopped. Record Keeper: This scribe keeps careful records of the local laws and histories. 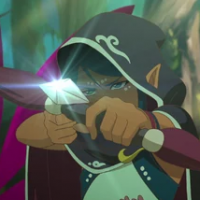 Archer: No one can figure out how this sharp shooter can hit his target every time - the guy's missing an eye! Maiden: This curly haired lady devotes all her free time to studing plants, hoping to accumulate enough knowledge to become a great herbalist. Nocturnus: Drakarkan Queen: She rules, alongside the king, under the seas along the northern shores of Nocturnus. Jester: One of the greatest Nocturnus entertainers - you die laughing when head start to roll. The Happy Wizard: Captain of the warship The Smiling Phantom - you'll want to hightail it outa-there if you see his ship out on the horizon (well except, you probably won't see it 'till after it's too late). Warlord Blanche: While Historica will more likely remeber her tirant sister Warlord Baby Jane - Blanche was truely the brains behind the terror that wreaked havoc across Nocturnus - until both sisters seemed to just vanish from history. (These characters were going to be my contribution to the Warlord community build (overtly inspired by What ever happened to Baby Jane), which I will try to complete one of these days... ) Thanks for having a look. A few of these might be recognizable from past builds, but for the most part I had a hoot coming up with some newish, unique-ish characters. Here's my latest I've been working on, Hayreddrin Barbossa (Redbeard). Now I need to build a crew of Barbary pirates to go with my Xebec. Here's most of the crew from Vengeance. Captain "Dead Eye Dave", Star reader "Lady LeeAnn", Quartermaster "Nathaniel", Surgeon "Lord Herzig" Next we have Bosun "Erica", Copper "Pierre", Master gunner "Sparks", Gunner "Misfire Mike" Next up, Swabbie "Smee", Carpenter "Chisel Charlie", Gunner "One Eye William", Navigator "Joshua"
Hello! I have been refreshing the old Adventurers figures with new parts, colours and prints. So far I have been keeping things posted with MOCs, but a lot of people who might enjoy seeing the figures don't really browse the A&A forum so I thought to post them here with more of the "process" information. This post will be for the 'Good Guy' characters. The figures that feature are re-builds of the figures I had as a child, so there may be some characters missing from the line-up, though I like to think that the main players are all present! Every name is a link to a picture of the first figure issued. First up we have Johnny Thunder himself. The hat is, of course, the design from Lone Ranger but in the reddish brown shade, I picked that up in a LEGO Movie set. I had hoped to use the re-released classic hat in reddish brown but the dropship set is rather expensive. This hat is a nice medium between the Indiana Jones fedora and Johnny's hat. I was fortunate to have the newer version of the head print with the white pupils becuase I really wanted to leave his face as it was in the original theme, while I had no qualms about using new faces for other characters, Johnny is just too cool to change too much. The torso is from Pharaoh's Quest, it was Jake Raine's but I thought he looked better in the tan shirt so Johnny got the gear. The legs are Indiana Jones prints, the gunbelt is a nod to the classic print on the original Johnny Thunder torso and also, seeing as you can take it that Johnny Thunder is either a nod to Doctor Jones or the source material that birthed them both, it felt right. Plus I just love the dark tan colour. Finally there is the Lone Ranger pistol, the more detailed tooling of the gun is visually pleasing in comparison to the older pistols so I used a lot of them within my Adventurers refresh. Next there is Pippin Reed, ace reporter! Again, the delightful dark tan colour make an appearance, the pith helmet is unchanged from the original mould but this one looks smarter than the white one. I chose this face print, a newer printing of the first Pippin Reed (see the pupils) because the version I had was from the Egypt sub-theme. The other Pippin Reed print is much too 'bulky' if you get my meaning, for the longest time I thought that Gale Storm and Pippin Reed were two different characters when I finally cme across names. Full disclosure: In my games and adventures, only Johnny Thunder had the 'correct' name. My lady adventurer was always called Lara... Next up is the torso, this was from the Collectable Minifigures Series 2 Explorer. The red ascot is similar to the scarf that the original torso print had while the strapped on water bottle is like the printed camera. I loved the explorer figure parts so using this torso was a given. The dark red legs are a replacement for the regular red from the actual figure, again, the dark shades look a lot smarter than the brilliant basic shades. I suppsose that muted colours are more appealing to me. The camera is a must, I never had one when I was younger but this one is bulky enough to work within the setting Adventurer's have so I happily used it. Here we have Harry Cane. The reddish brown aviator helmet and dark bley goggles look sharper than the old brown and black, I wanted the goggles to match with the harness printed on the torso. The face has is new too, Harry Cane never had a re-issue with pupils printed in so I chose another. This cleaner cut but still rascally looking face was first used in Knights Kingdom 3 for one of the named knights but quickly became a generic for Castle, Viking, Pirate and even Football minifigs. I thought it looked good for a more respectable Harry Cane, less stubble and more beard. The epaulettes are old brown but are minimal enough a detail that it doesn't look too bad (I hope) the torso is from the Naboo Starfighter pilots, I loved the whole look, but then the original suits that inspired them are from the era I set Adventurers. I was fortunate enough to pick up number of the torso from the online PaB to make a little crew of fighter pilots. The legs are plain until I can find just the perfect looking printed ones, though the pilots were mostly unencumbered in the leg area. Doctor Charles Lightning, or, as I named him Doctor Carter (I was a bit of an odd child, I wanted to be an archaeologist when I was six...). A dark bley pith helmet looks better to my eyes than the white, I really am not the biggest fan of bright colour in this setting. I had to use the old head, nothing was good enough to replace it, maybe some time in the future a face print will be perfect, but the classic look is so much better. I think the glasses hide the issue anyway. The torso is from the series 5 Collectable Minifigures Detective. I wanted a torso that was fit for the lecture hall or the dig site! Though I do miss the bow tie from the original (bow ties are cool) nothing in the newer colours and sharper printing of current LEGO worked to my eye. Again, if something comes up which will look better I might change it. Finally we have Mike. Mike is the biggest change of all the figures. I really wasn't overly fond of the character in the first place. The freckles didn't look right, the fringe was messy but he had a pretty blank look. Maybe too was the fact that my younger brother insisted on playing as 'him' when he played along and that was never fun for me! This Mike is slightly aged up (the slingshot from the original figure always put me in mind of a kid). The longer hair is a nod to the fringe and the head is one of the varied but still 'generic' City face prints. I thought it made him look like he had a bit more wits about him. The torso print is from Monster Fighters and refrences the waistcoat he had originally while looking more grown-up. Jeans from the CMF series 8 DJ. Jeans were around at the right time and would be fine for a dig (they still are today!). With this minifig I thought; just how would someone dress if they admired an Adventure Archaeologist? This was not hard at all. Well, I hope you liked this fig barf and information overload! Questions, Criticisms and Comments welcome! A desiny figbarf. Warlock, Hunter, Titan Center fig is by "soldbrix Studios" :) Do you like the game? I've only watched a friend playing it so far but it does seem to have Bungies usual attention to detail! I originally wanted to do something on these lines for the Tiles and Bricks new faction contest, but didn't get my act together soon enough. The red gun is from the SY Green Lantern set, all other parts are Lego. Mars is of course inhabited, and these marines are the guys who are cleaning the solar cells on the curiosity rover. If it's not them, who do you think does it? Here are my latest figbarfs for my World - Age of Steam Back stories over at Flickr ^_^ Phineas Taylor Barnum and his Carn-Evil Dr. Victor Frankenstein and his minions The Ladies of Londinium Town Dr. Octopunk and my favorite The Iron Lady and her automaton Goliath Comments, criticism and feedback always welcomed! A little steampunk Figbarf. Pictured here are some Brickish "Captains of Industry." Captains are renowned for their fame/notoriety or influence within the Brickish Empire. Left to Right. Lord Tiberius George - The Empires most successful "Big Game Hunter" Araminta Sedgwick - A suffragette and agent provocateur. - Armanta's pet pooch Burberry. Captain Meeno - An officer in her majesty's navy and famous explorer. Mr Latrine - A french double agent specializing in waste management.